The word "drone" makes some people shudder, as the <a title="6 Best Uses For Drones " href="http://www.fastcolabs.com/3022485/how-did-drone-become-such-a-dirty-word" target="_blank">word</a> has become associated with warfare, death, and destruction. 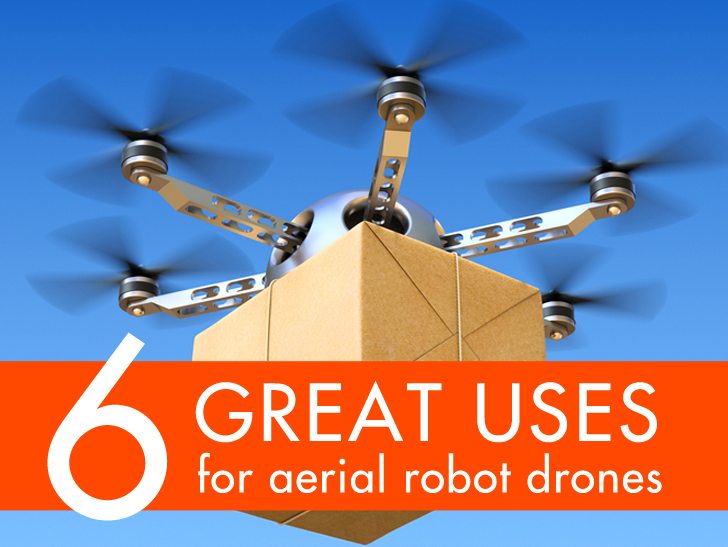 But the aerial robots are now flying beyond conflict zones and are being <a title="6 Best Uses For Drones " href="https://inhabitat.com/6-designs-that-could-save-your-life/" target="_blank">used for good</a>, delivering medicine and supplies to hard-to-reach locales, boosting communication in remote areas, and acting as flying spies to expose hidden cruelty to animals. We have compiled a list of the 6 best uses for these flying marvels that will help to polish up their tarnished image. Who knows? You might get a drone delivering your presents to your doorstep next Christmas! 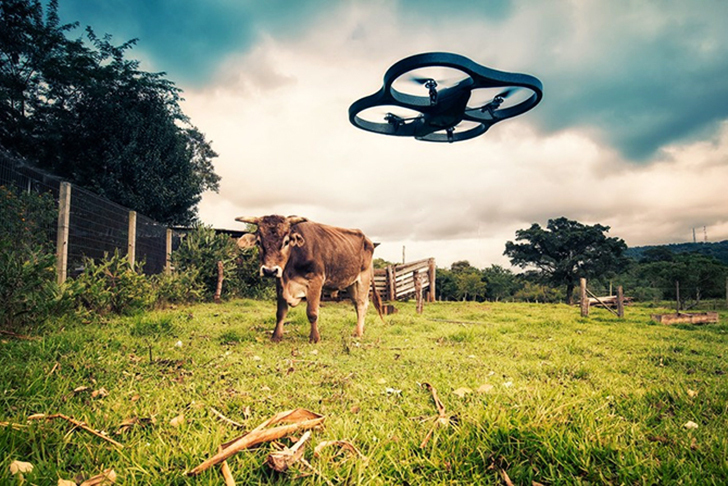 <h3><a title="6 Best Uses For Drones " href="https://inhabitat.com/journalist-to-film-factory-farms-from-above-using-drones-to-get-around-ag-gag-laws/" target="_blank">Farm Spy Drone</a></h3> Investigative journalist <a title="6 Best Uses For Drones " href="http://www.greenisthenewred.com/" target="_blank">Will Potter</a> came up with the idea of using <a title="6 Best Uses For Drones " href="https://inhabitat.com/journalist-to-film-factory-farms-from-above-using-drones-to-get-around-ag-gag-laws/" target="_blank">drones</a> to photograph animal farms and particularly expose those that pride themselves with ‘humane’ or ‘free range’ labels and are far from that. Using flying drones will allow him to get around the <a title="6 Best Uses For Drones " href="http://www.huffingtonpost.com/news/ag-gag-bill/" target="_blank">“ag gag” laws</a>, while showing to the world the cruel reality and abuses in many animal farms. <h3><a title="6 Best Uses For Drones " href="https://inhabitat.com/matternets-battery-powered-drones-could-bring-supplies-and-disaster-relief-to-remote-areas/%20" target="_blank">Disaster Helper Drone</a></h3> California-based startup <a title="6 Best Uses For Drones " href="http://matternet.us/" target="_blank">Matternet, Inc.</a> are currently testing a network of battery-powered <a title="6 Best Uses For Drones " href="http://en.wikipedia.org/wiki/Quadcopter" target="_blank">quadcopters</a> <a title="6 Best Uses For Drones " href="https://inhabitat.com/matternets-battery-powered-drones-could-bring-supplies-and-disaster-relief-to-remote-areas/%20" target="_blank">drones</a> that will provide vital assistance to communities in need. 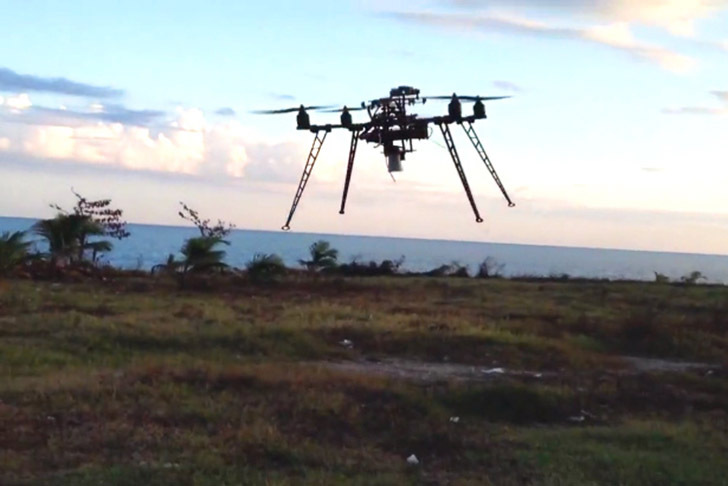 The remotely operated electric drones will deliver supplies, medicine and emergency relief to both, people in remote locations as well as to those suffering in <a title="6 Best Uses For Drones " href="https://inhabitat.com/disaster-proof-design" target="_blank">post-disaster zones</a>. 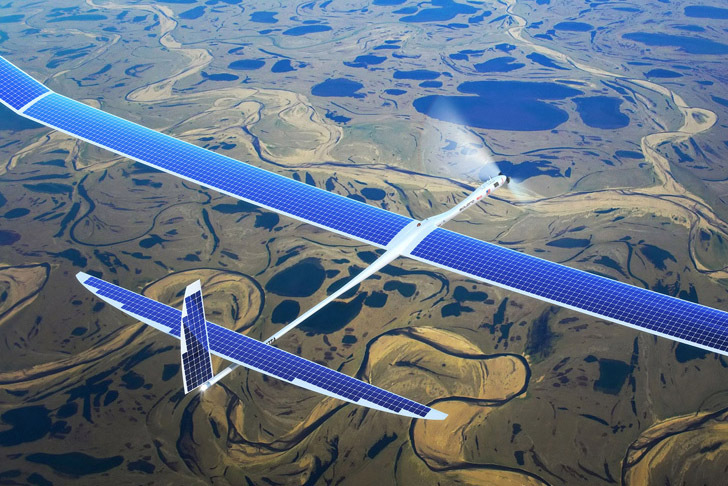 <h3><a title="6 Best Uses For Drones " href="https://inhabitat.com/google-buys-solar-powered-drones-to-boost-internet-access-in-third-world-countries/" target="_blank">Internet Boosting Drone</a></h3> Web giant Google have recently acquired <a title="6 Best Uses For Drones " href="http://titanaerospace.com/" target="_blank">Titan Aerospace</a>, a high-altitude, <a title="6 Best Uses For Drones " href="https://inhabitat.com/google-buys-solar-powered-drones-to-boost-internet-access-in-third-world-countries/" target="_blank">solar powered drone</a> manufacturer that can supply Internet to remote areas in the world. While the flying robots will probably improve Google Earth’s aerial photos, they will also connect millions of people and help solve other problems like environmental disasters. <h3><a title="6 Best Uses For Drones " href="https://inhabitat.com/ambulance-drone-could-provide-emergency-help-in-just-one-minute/" target="_blank">Pollution Combat Drone</a></h3> The state-owned <a href="http://www.avic2.com/">Aviation Industry Corporation of China</a> is trying to combat its massive <a title="6 Best Uses For Drones " href="https://inhabitat.com/nine-chinese-cities-more-polluted-than-beijing/" target="_blank">air pollution problems</a> using <a title="6 Best Uses For Drones " href="http://en.wikipedia.org/wiki/Parafoil" target="_blank">parafoil</a> <a title="6 Best Uses For Drones " href="https://inhabitat.com/ambulance-drone-could-provide-emergency-help-in-just-one-minute/" target="_blank">drones</a>. 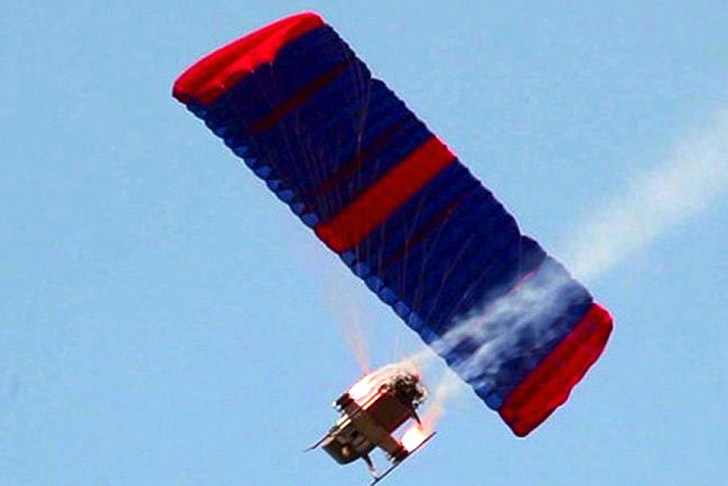 The flying vehicles are equipped with a paragliding wing that carries and releases chemicals with the aim to reduce the amount of PM2.5, the fine pollutant particles that are most harmful to human's health. 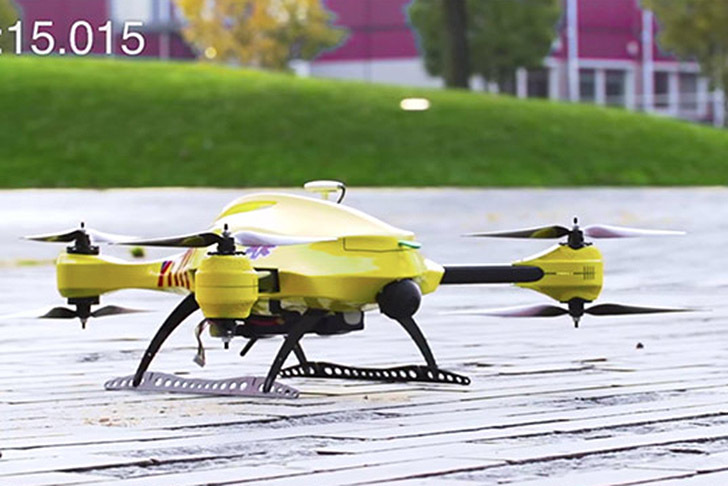 <h3><a title="6 Best Uses For Drones " href="https://inhabitat.com/ambulance-drone-could-provide-emergency-help-in-just-one-minute/%20" target="_blank">Ambulance Drone</a></h3> <a href="http://www.tudelft.nl/en/">Delft University</a> graduate Alex Monton created an <a title="6 Best Uses For Drones " href="https://inhabitat.com/ambulance-drone-could-provide-emergency-help-in-just-one-minute/%20" target="_blank">Ambulance Drone</a> that can arrive to the accident scene as quickly as one minute after being dispatched. While an ambulance can take about 10 minutes, this drone doesn’t have to fight traffic and is equipped with a medical kit with emergency supplies for saving lives. 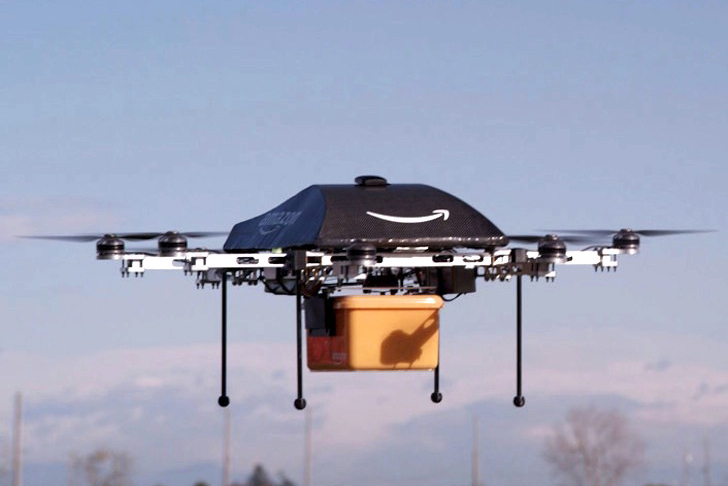 <h3><a title="6 Best Uses For Drones " href="https://inhabitat.com/amazons-new-octocopter-drones-can-deliver-purchases-in-30-minutes-or-less/" target="_blank">Delivery Drone</a></h3> Amazon chief executive Jeff Bezos announced that the company was going to try out an experimental shipping service called <a title="6 Best Uses For Drones " href="http://www.amazon.com/b?node=8037720011" target="_blank">Prime Air</a> that will deliver goods using <a title="6 Best Uses For Drones " href="https://inhabitat.com/amazons-new-octocopter-drones-can-deliver-purchases-in-30-minutes-or-less/" target="_blank">octocopter drones.</a> Perfect for last minute shoppers, the company promises that the drones will deliver small packages to your doorstep in less than 30 minutes to anyone living within a ten-mile radius of an Amazon distribution center.